View Cart "N Lashes Twin Pack Allure" was successfully added to your cart. 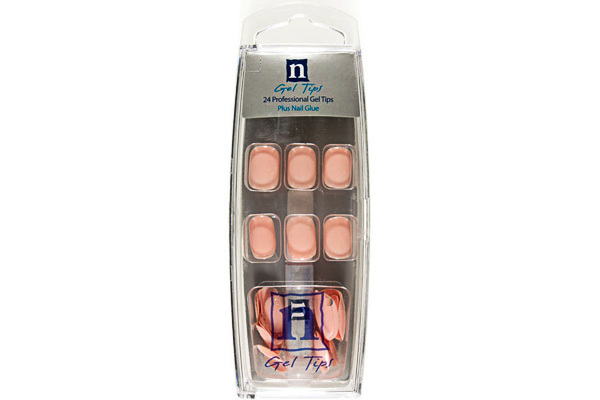 Great Gel Shine – Easy to apply. Contains 24 nail tips and nail glue. SKU: NG7. Category: Express Nails. 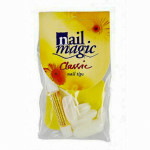 Clean & dry nails, removing all polish or other cosmetic material beforehand. Clip each nail straight across, close to the fingertip, rounding the corners with a file or emery board. This helps to ensure a correct fit, with the nail tip adhering to an even, uncurved surface. Select the nail tip to suit your own nail. Trim carefully until it matches the contours of your own nail. You are now ready to apply the nail tip. Apply a small drop of Nail Glue to the overlap of the nail tip. Holding it on the top, slide it onto your nail and press down, lightly, without excessive pressure, until the glue dries. File the seam lightly until the nail tip blends evenly with your own nail. To obtain the desired length and shape, cut the nail tip straight across, starting at the corners and cutting towards the center. Never cut to sharp angles or points. Use the buffer to create a smooth finish. Never use Nail Tips or glue on nails that are injured, infected or damaged. In applying tips, leave a space between the cuticle and the false nail, never covering the entire nail with the false nail. Be careful to select the correct size nail tip for each nail. Avoid contact between Nail Glue and fabric as heat may occur. Keep Nail Tips away from direct heat or flame. Soak nail tips in Acetone.